Look at this wonderful podcast! Hear William and Alexander talk about the 1990 film The Reflecting Skin, English director Philip Ridley's strange Alberta-filmed prairie tale. They will tell you that it is something special. The movie, featuring a young Viggo Mortensen, finally got a long-overdue, remastered Blu-ray Disc release. Also hear Alexander's reaction to the new documentary Ninth Floor. 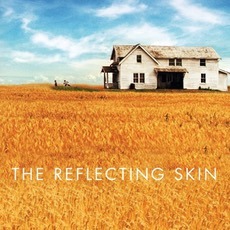 Here are links to IMDb pages for the movies discussed in this episode: The Reflecting Skin and Ninth Floor. The website Alex recommended is Art of the Title.